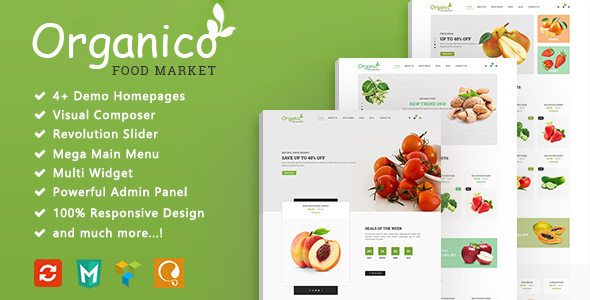 We’d like to offer Organico – Fresh Fruits Responsive WooCommerce WordPress Theme. It is perfect to sell all sorts of organic and eco and farm products like food store, seeds, fresh fruits, coffee, health, restaurant, cosmetics and more! - Added function change product image when select different color and size in product details page.